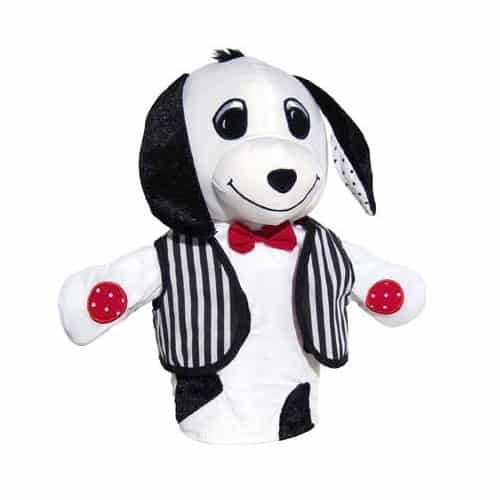 The Buddy Puppet is appropriate for all children but the multi-sensory features are especially important for children with an Autism Spectrum Disorder, children who are visually impaired, or children with significant cognitive or physical challenges. Puppets are one of the few toys that have lasted throughout the years as a favorite among both children and adults alike. They have the ability to break down barriers providing an effective means to initiate communication. Set the Scene – Write a script, share a story or draw a picture about what Buddy did that day teaching kids about self-expression and promoting creativity. Storytime – Read a story and make Buddy Puppet be a character from the story. Change voices for the character Buddy is reading too! Reading aloud promotes language skills and bonding. Arts & Crafts – Get crafty and create a puppet friend for Buddy Puppet out of fabric, popsicle sticks or socks along with other craft supplies. Cardboard Condo – Use a large cardboard box to create a fun house for Buddy Dog or a theatre for Buddy Puppet. Kids can color and decorate while caregivers do the cutting!